Brand New to Our Program and Ready To Rent! 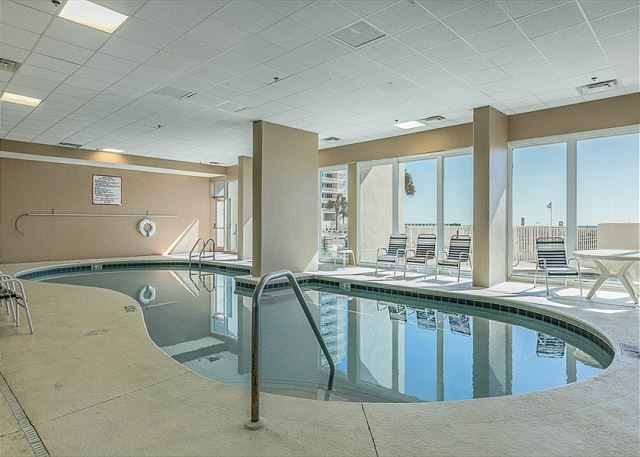 Step into a tropical oasis as you enter this tenth floor unit conveniently located within the heart of Gulf Shores. This unit is tastefully decorated with comfortable furnishings inspired by the beauty of the gorgeous sugar white sand beaches of Gulf Shores. Beautiful palm trees, rich reds and deep green hues create a tranquil tropical feeling. The master bedroom offers a beautiful gulf front view from the comfort of a king size bed to inspire peace and tranquility. The master bathroom features a Jacuzzi tub to indulge yourself in a luxurious a convenient stand alone shower when you`re on the go! The master bathroom also offers double vanities and great counter space. Two fun bunk beds round out the comfortable sleeping accommodations. A second full bath gives just the right amount of space. All linens and towels are provided for your comfort. The kitchen features all white appliances and cabinetry and comes fully stocked with all the comforts of home. Whether you`re looking to make an elegant meal or just enjoy a quick snack on the go, you will find everything you need in the kitchen cabinets. 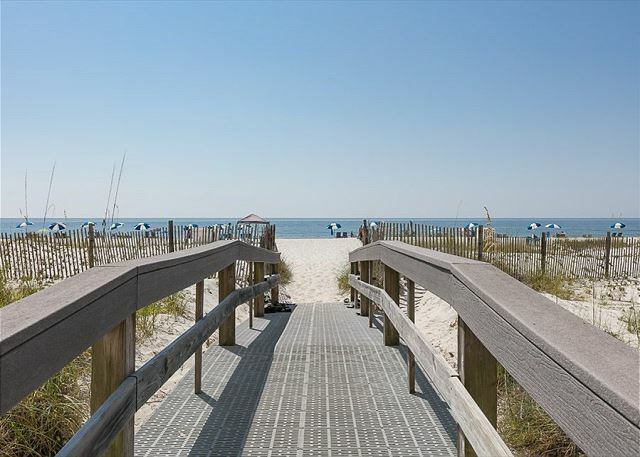 Enjoy unobstructed views of the gorgeous white sandy beaches and crystal blue water Gulf Shores is famous for! 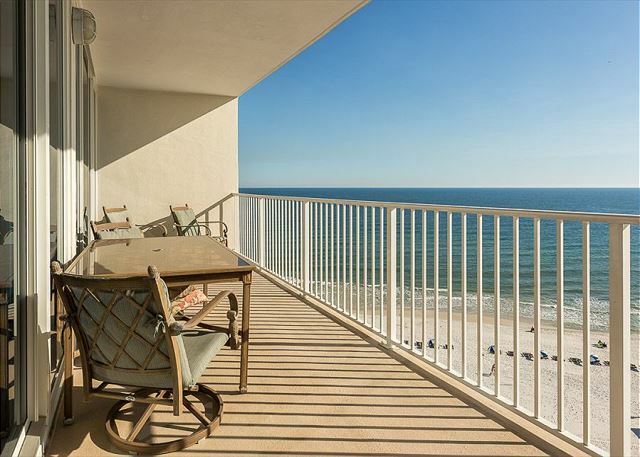 Relax on the balcony and take in the gorgeous sunsets or watch the dolphins play in the Gulf. The balcony features a large patio table and seating for five. This unit, 1003, is on the 10th floor and sleeps up to 6 people with a king in the master, youth bunks, and a sofa sleeper in the living room. Lighthouse is situated in Gulf Shores just a half mile from Highway 59. 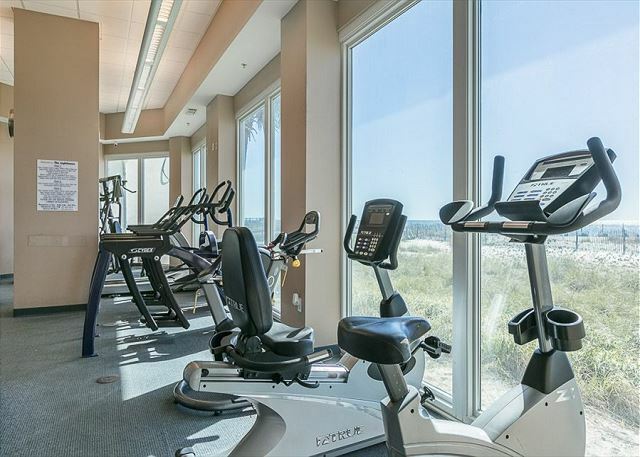 This high-rise features a variety of amenities such as an outdoor pool, zero-entry pool, two outdoor hot tubs, a grilling area, indoor pool, fitness center, sauna and free wireless internet. You may purchase up to two parking passes.Parking passes will now be purchased at the HOA Office located at the complex on the second floor. 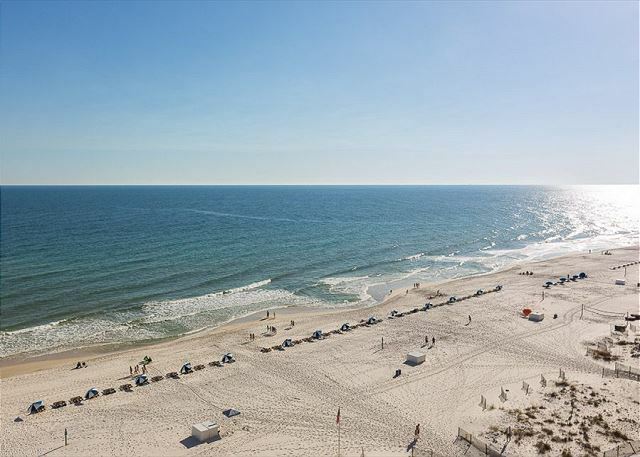 There is a maximum of 2 parking passes per unit and are $22 per vehicle for the length of your stay, not per night and you must show your reservation confirmation from Alabama Beach Vacations when purchasing. Smoking is prohibited in all units at The Lighthouse, including on the outside balconies.There are outdoor designated smoking areas on the east and west ends of the building under the parking deck ramps.